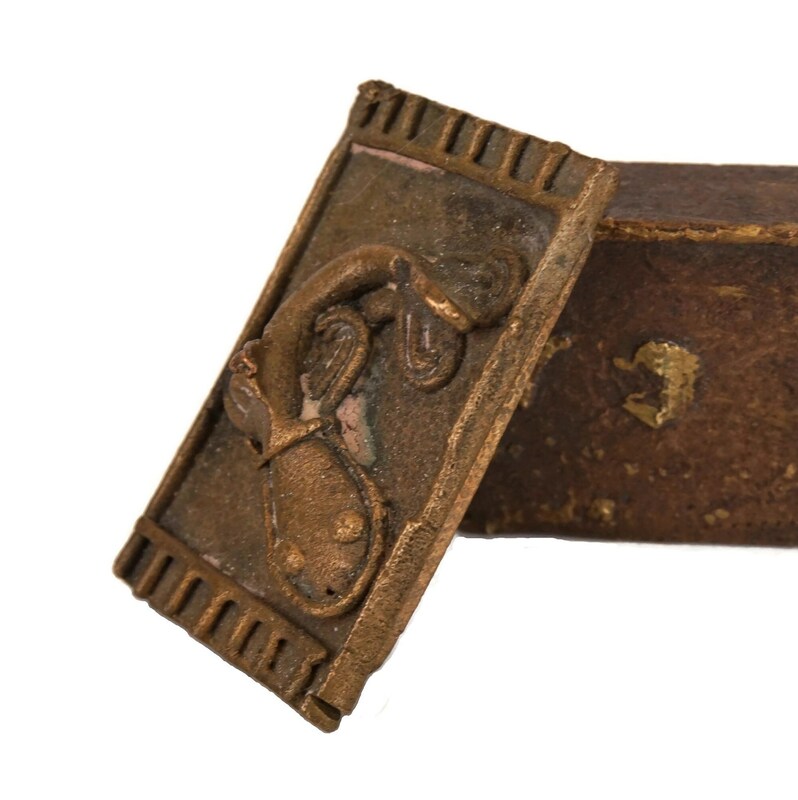 A striking antique Akan box once used to hold gold dust. 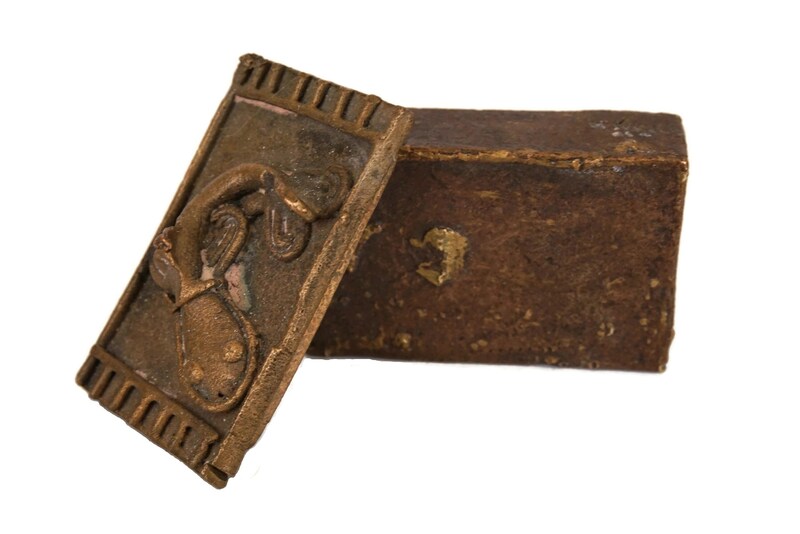 These small lidded brass boxes were originally used by The Akan people of the Asante Empire in Africa and this particular example dates to the early 20th Century. 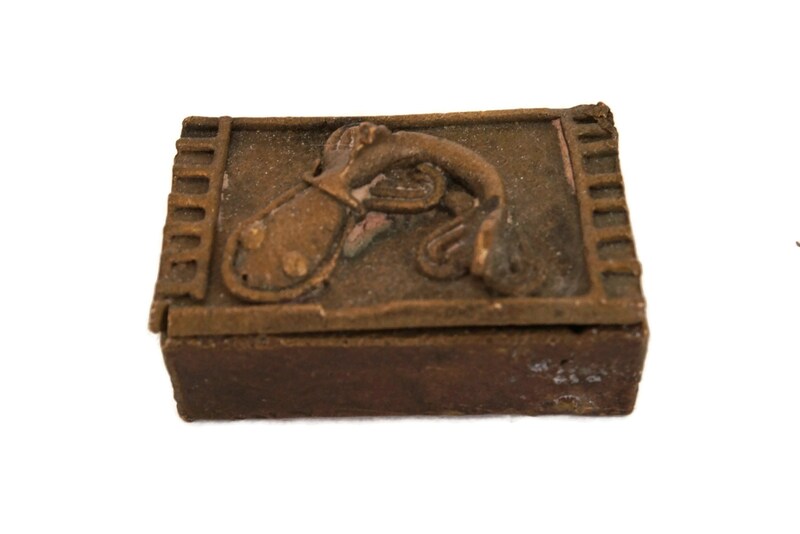 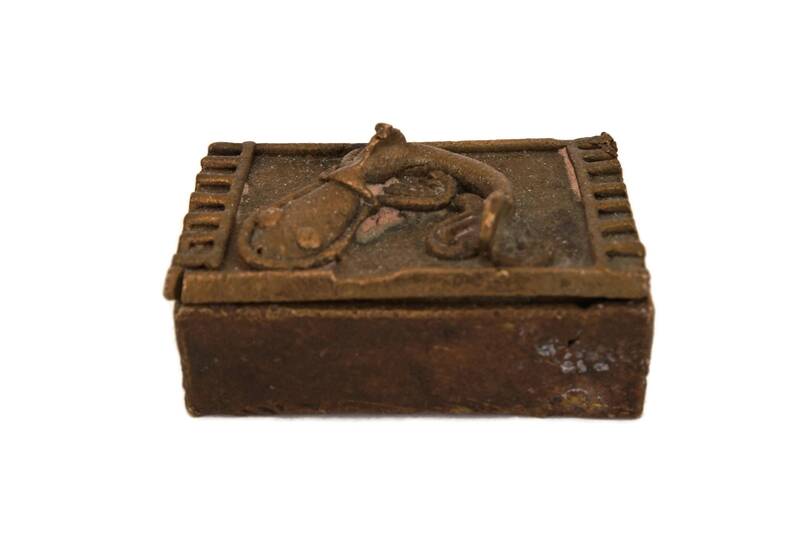 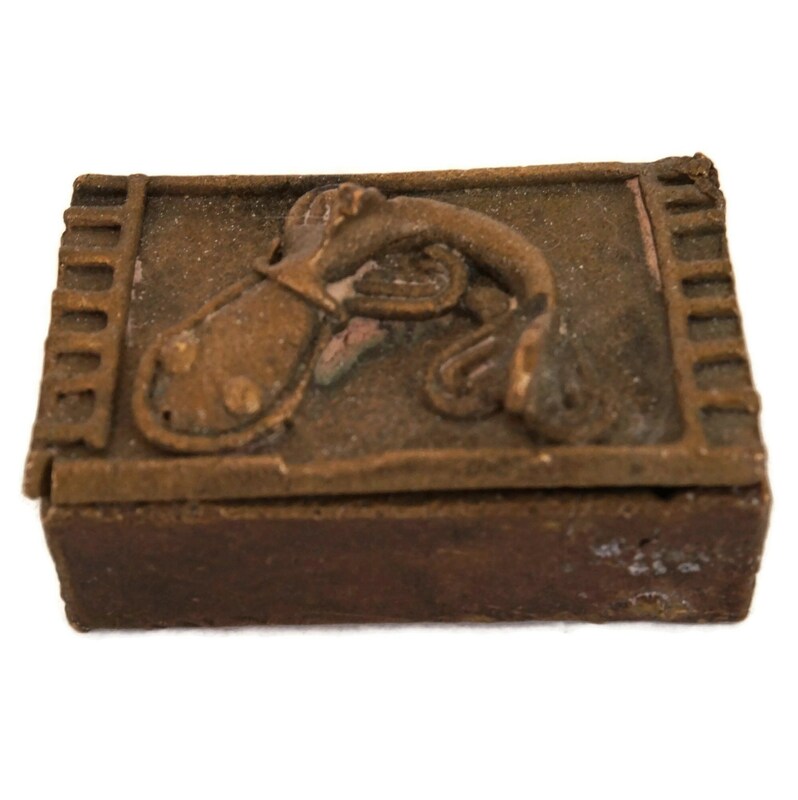 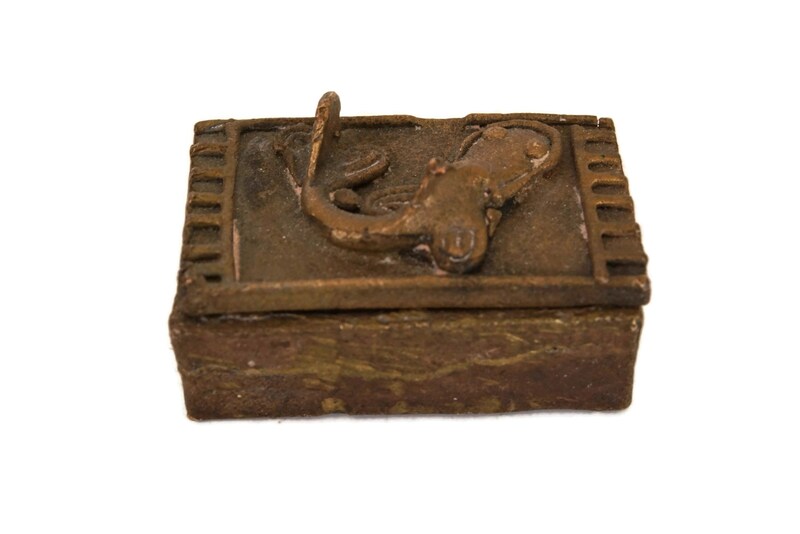 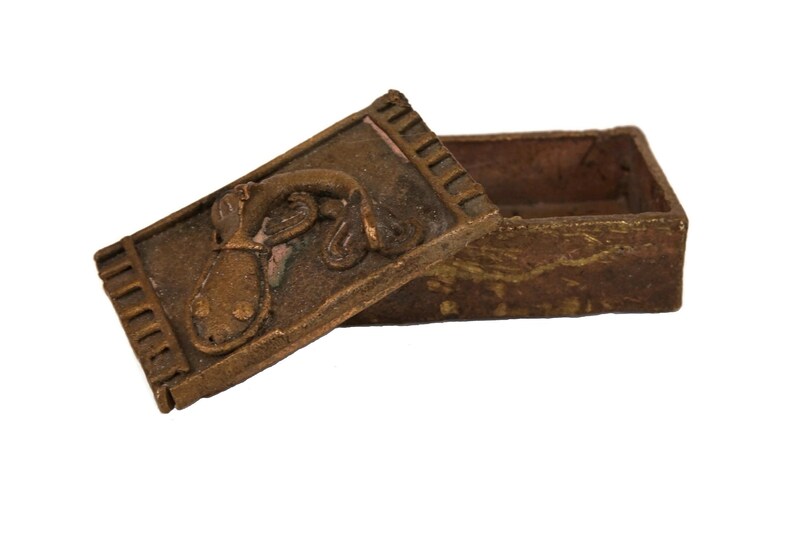 It has been hand crafted using the lost-wax casting technique and the removable lid features a fish in raised relief. 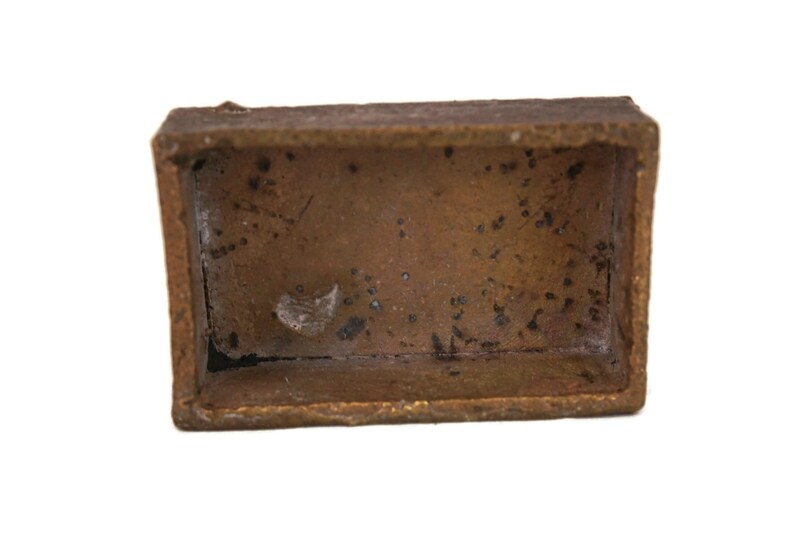 The surface of the metal has a rich aged patina. 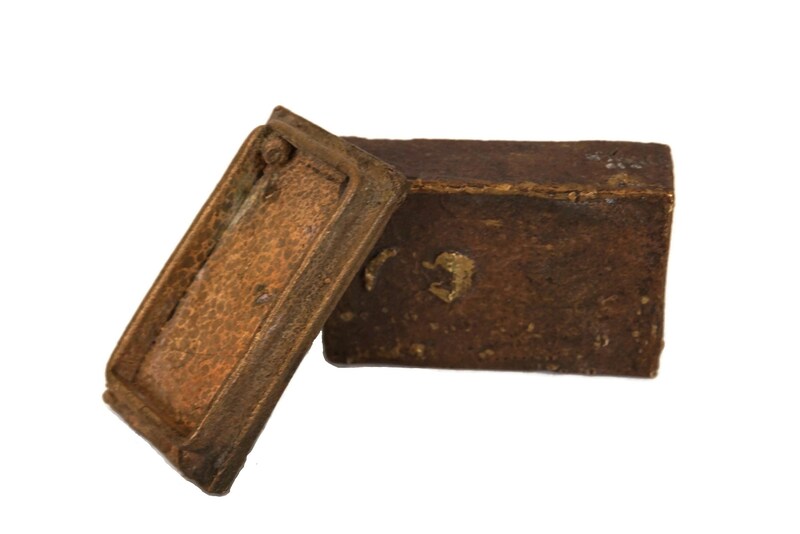 (4,5 cm x 2,5 cm x 2 cm). 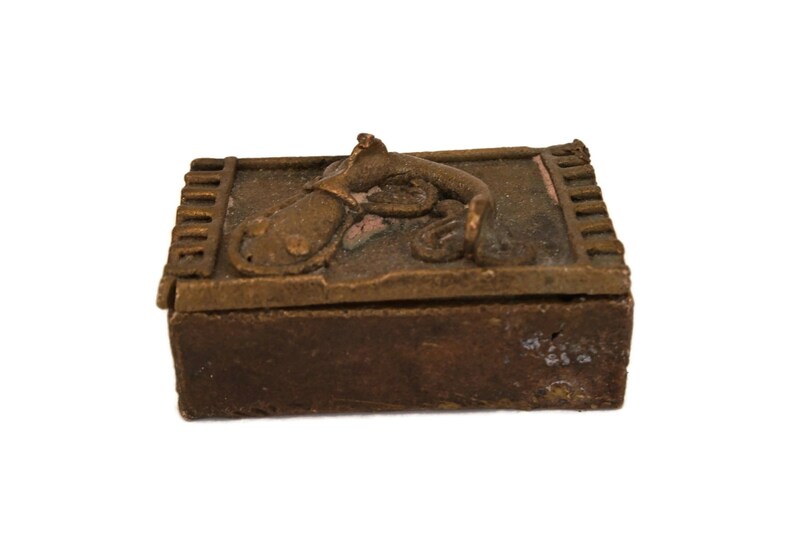 The Akan gold dust box is in good condition with some signs of age and wear.